During the development of Lost Planet at Capcom, the tight integration of content development and code development in a single game building framework allowed artists and programmers to collaboratively push their game forward. 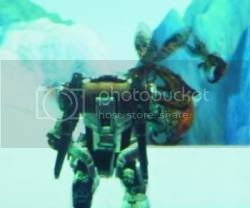 It is interesting to note that separate teams created MT and Lost Planet. Now, Capcom is aggressively staffing a larger MT team. Lost Planet's development was characterized by pushing technology development on many fronts (and by a migration from PS2 to cross platform next generation). They made an effort to find programmers and artists who were able to work together to understand the new technology and push it forward through a series of protoypes. This work allowed them to gradually accumulate the experience they would need to put their game together. This picture shows a screenshot from within Capcom's internal integrated development environment, called MT. Various techniques, in this case full screen post-processing became available during development within MT for team members to experiment with. New animation algorithms such as IK for creature footplants were created and integrated into MT. MT allowed Capcom to do visual development in real-time. 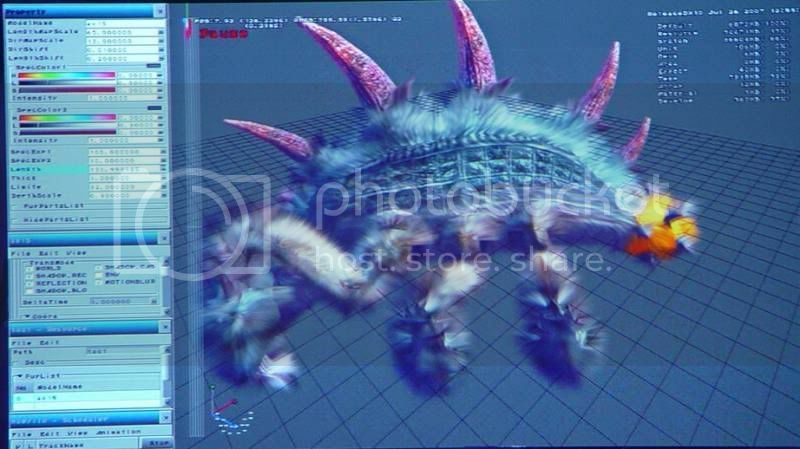 This image shows an interactive session where the creature's fur is grown parametrically while the creature is being animated. The grid of dots in the lower left indicate the status of the IK system over time - which feet are planted, and which are in the air. Intriguingly, the modular design of their system has allowed them to release updates to the PC version of the game which patch new technology into the existing game. For example, a brand new motion blur and depth of field system was rolled out for DX10. For more information, see this gamewatch article, and this 4gamers article. Links to translations and other analysis of this article can be found on Beyond3d.